Traditional elegance is brought to a whole new level with this traditional bed. 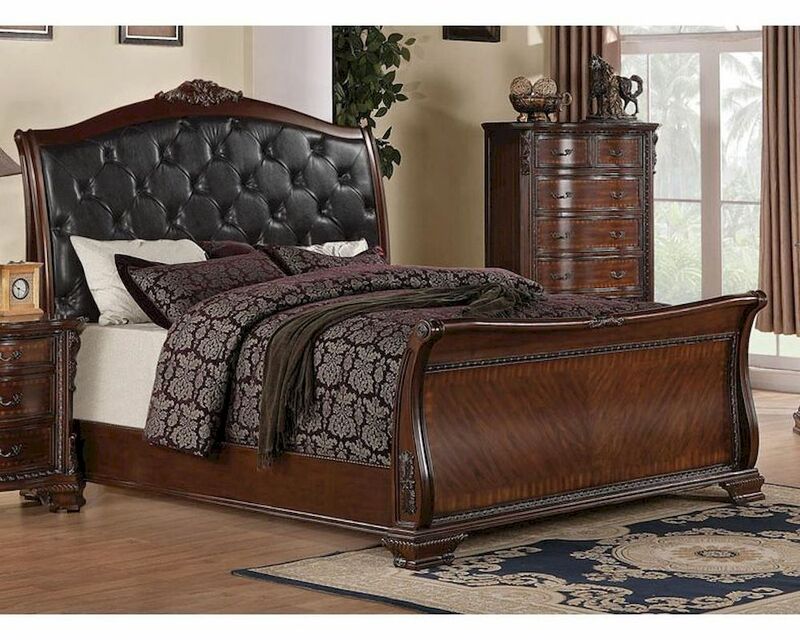 From scroll posts to a curved headboard with ornate wood carved details this piece exudes a luxurious sense. A faux leather tufted headboard makes it easy to sit up and read a book or watch some television. 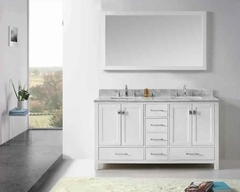 The french front dovetail and square back drawers create a solid unit for storage and every day use. From the warm brown cherry finish to the intricate details, this bed is sure to become a standout item in your bedroom.